Have you heard about SpectraFlair? Probably. But if you haven't it is a fine powder used in auto detailing. What does this have to do with nail polish you may ask. Well, let me tell you. It makes nail polish HOLO. And not just any holo, LINEAR HOLO. 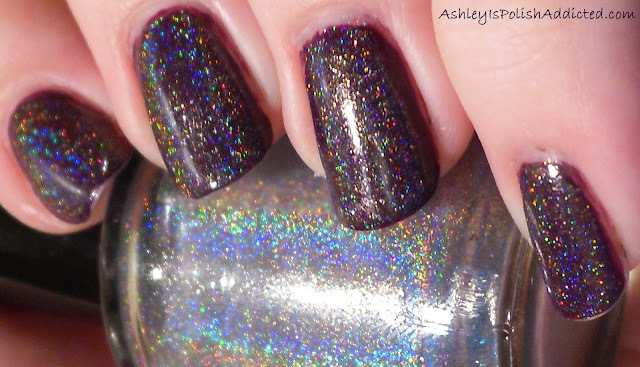 When you add it to clear polish it creates a holo top coat that can be used over any polish to make it a linear holo. I had been wearing Cult Nails Vicious for a full day and decided to add the top coat to it and it makes an amazing combo! I need to apologize for the tip wear in these photos. I have been wearing Vicious for THREE days (1 without the holo and 2 with it) and I think this is pretty amazing wear for 3 days. Especially for me, I am very hard on my nails and I did a lot of cleaning today so go Cult Nails for the awesome wear test! I think they passed with flying colors! These pics are inside. I tried and tried to get outside pics but the last 2 days have been busy and it's been one thing after another so I didn't have the chance. Jelly.. This looks gorgeous on your nails! Totally mesmerizing. Like Unicorn sneeze!!!! If you have a fb account SpectraFlair has it's own page!! You can purchase through there as well as ebay. I've been making holo polishes for over a year with SF it's awesome! So who do I go to get some of this magical powder??? Just any auto paint place? This is just stunning!!! Is it hard to do? I've searched eBay and there is only 1 seller, also which is best fine medium or course? 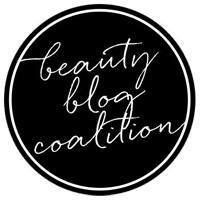 My Guest Post at Nails Adored! New Blog Sale Items Added! Zoya Beach Collection Skittles and Stamping! Autism Awareness Day - Let's Wear Blue!